From Rte US-22, take PA-271 North through Nanty-Glo. Turn right onto Plank Rd (just before the village of Twin Rocks) & go about 3 miles to Vintondale. Turn left onto Maple St. Cemetery access is from Maple St. 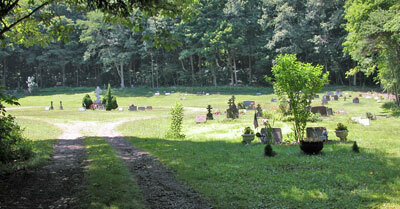 Cemetery is located up in the woods beyond the end of Maple Street.